Hundreds of Wilmington residents were temporarily left without power Sunday because small animals, specifically squirrels and mice, were tampering with power lines, officials said. Wilmington had five separate power outages Sunday, four of which were caused by squirrels or mice. The Reading Municipal Light Department, or RMLD, which serves Wilmington, Reading, North Reading, and part of Lynnfield, has had 20 outages caused by wildlife this year, said Joyce Mulvaney, a spokeswoman for the energy provider. 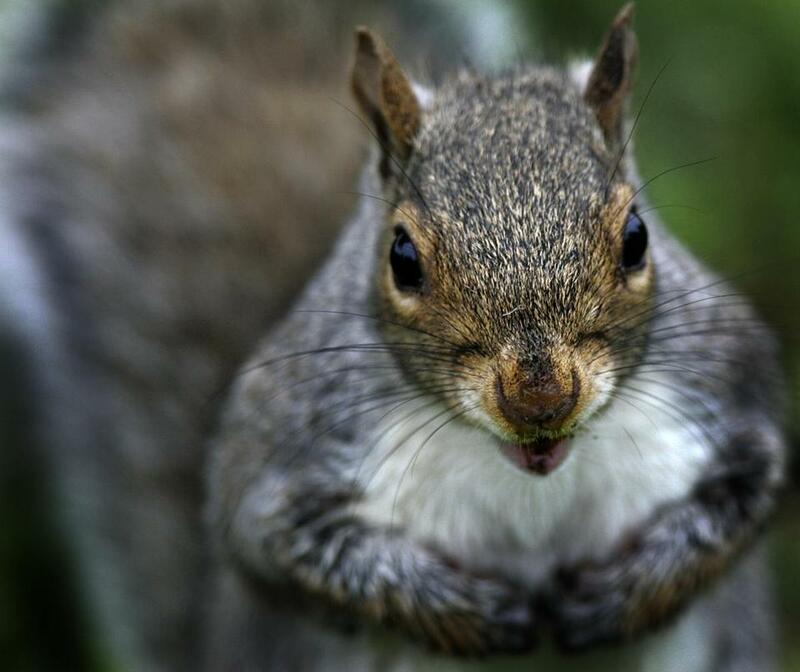 The squirrel and chipmunk populations in the region are spiking this year with more favorable environmental conditions, as acorns and other nut varieties appear to be more abundant than usual, Marion Larson, spokeswoman for the Massachusetts Division of Fisheries and Wildlife, said. Last fall’s crop of acorns and nuts was large enough that squirrels was able to continue to feed on them throughout the winter, giving them a better chance of surviving what is always the “toughest season” for wildlife in Massachusetts, Larson said. More squirrels surviving the winter means a lot more baby squirrels in the spring, Larson said, as squirrels can reproduce after they’re 10 months old. The “prolific breeders” can have around two litters per year, Larson said. Gray squirrels in particular are infamous for gnawing on wires and electrical equipment, Larson said. In Wilmington, in the area of Hathaway Road, about 275 RMLD customers lost power Sunday for about three hours after a squirrel damaged electrical equipment, Mulvaney said. “[The] initial outage was smaller in scale but a larger outage was needed to isolate and safely make repairs,” Mulvaney said in an e-mail. Seven customers in the area of Cary Street lost power for about two hours, and 49 customers in the area of Salem Street lost power for about an hour because of squirrel activity, Mulvaney said. An additional nine customers in the area of Ashwood Avenue in Wilmington lost power for about two hours after a mouse messed with electrical equipment, Mulvaney said. In an effort to minimize the number of animal-induced power outages, the RMLD has installed more than 2,700 animal guards on its equipment over the course of the last seven years. These guards reduce the chances of animals like squirrels, mice, birds, and snakes getting to the electrical equipment, which can be overhead lines or underground systems, Mulvaney said. Animals disconnecting or short-circuiting power lines was the third most common cause of power outages for the RMLD between 2013 and 2017, Mulvaney said, but the number of outages caused by animals every year has decreased over the last three years.